For some artists and designers drawing is foundational. It is viewed as a place, experience or reference point from which their practice evolves and takes shape. At the University of Brighton, researchers recognize that the fundamental, generative role Hambling ascribes to drawing can be traced across a wide range of professional and educational contexts, as well as in terms of the practice of fine art. Drawing emerges and influences cultural, social and political contexts, it has a role in historiography and it is a ‘discourse’ as well as a practice (Bermingham 2000). The extent to which this multiplicity of roles is recognized, articulated or accorded meaning, however, varies enormously. Drawing researchers are concerned with investigating and deepening the understanding drawing as part of a nexus of interrelated domains and practices. They consider not only particular works or artistic practices but why, how and with what impact different drawing practices in society are carried out. At the University of Brighton, there is particular interest in the presence, character and function of drawing within art, architecture and design education, in drawing as a pedagogical strategy or technique for a range of higher education subjects and in the potential value of drawing as an educational tool specifically for cross-disciplinary learning. There is a distinct strand of arts/health research activity. This is concerned on one hand with the benefits of collaborative drawing approaches within medical education and on the other with investigating practices and acts of drawing that are embedded in clinical settings. A third, discrete area of interest focuses on drawing as a method within the emerging area of visual, creative research methodologies. Does drawing provide scaffolding for learning in art and design? Is it a necessary skill for achieving success in art and design programmes, or is it increasingly an optional or specialist choice by students with specific drawing interests or abilities? Is it actively taught according to particular systems of instruction or are students expected to experiment and acquire facility with drawing as part of visual research and the generation of ideas? What assumptions fuel these different approaches and what does the teaching of drawing aim to achieve? Drawing was once core in the art academy, associated with classical ideals about the human form (Petherbridge 2010, 221). Life drawing, in particular, was ‘viewed by academicians as their essential cultural capital’ (Bermingham 2000, 231), one of the main factors seen as marking out the territory between the fields of fine art and design, and the educational institutions that aimed to shape them. Contemporary approaches to drawing in the art school are marked, according to some, by a lack of clarity of method and purpose: drawing is ‘like a discipline that has lost its centrality, pushed to one side by new technology, photography, and art theory’ (Faure Walker 2005, 16). There are moves to re-evaluate what a drawing education might constitute by making more explicit the philosophical worldview informing learning and teaching and the related orientation towards drawing as process and outcome (Riley 2008, 153-167). Acts of drawing may be deliberately deployed (the diagram on the whiteboard) or tacit and concealed (the doodles on a page or table). In lecture theatres, classrooms, studios and laboratories, drawings are produced digitally or manually, annotated and used in conjunction with a range of other media, texts and educational strategies. In relation to compulsory education Ofsted (2012) has highlighted that drawing is ‘central to students’ visual and creative thinking’ with achievement in drawing ‘closely linked ‘wider achievement’ in art, craft and design. Recent research has shown the value of drawing in supporting explanation as part of a multimodal pedagogy (James-Eide 2014). It is often argued that around the age of 7, children become focussed on literal or visual realism rather than drawing what they know, with a consequent deflation in enthusiasm and confidence (Anning 2005, 96). In higher education, although drawing has occupied a customary place in the pedagogy of subjects such as architecture, engineering and to some extent, medicine, the consideration of drawing as a technique for supporting learning is sporadic. Researchers have argued that drawing, in the context of other visual practices, has an important role to play in many higher education subjects (Ridley & Rogers 2010). ‘Drawings are like raw information to be messed with and understood,’ Stephen Farthing. Drawing research is concerned both with drawing as an act and as an outcome. As a practice-based or led area, drawing research is increasingly located within debates about paradigms of knowledge in academic research, the place of experiential knowing (McGuirk 2011) and informed by the phenomenological thinking of Merleau-Ponty (1964). Researching through their drawing, using drawing as enquiry, some practitioners have attempted to expose and articulate the internal creative and editorial dialogues guiding their mark-making (Saorsa 2004 and Cain 2010) or have invited others to engage in drawing with them, investigating the potential value of drawing in opening up social encounters (Rogers 2008). Drawing is also beginning to be further developed by researchers from the arts and from health and social sciences as a creative methodological tool, offering a non-verbally dominated means of eliciting perceptions and experience (Theron et al 2011). Once largely an approach considered appropriate for researching with child research participants, the potential of drawing in accessing perceptions and experience of adults, too, is now being more fully explored. Drawing has a deeply engrained life in a number of professional contexts, from archeology, to architecture and branches of engineering (ref). 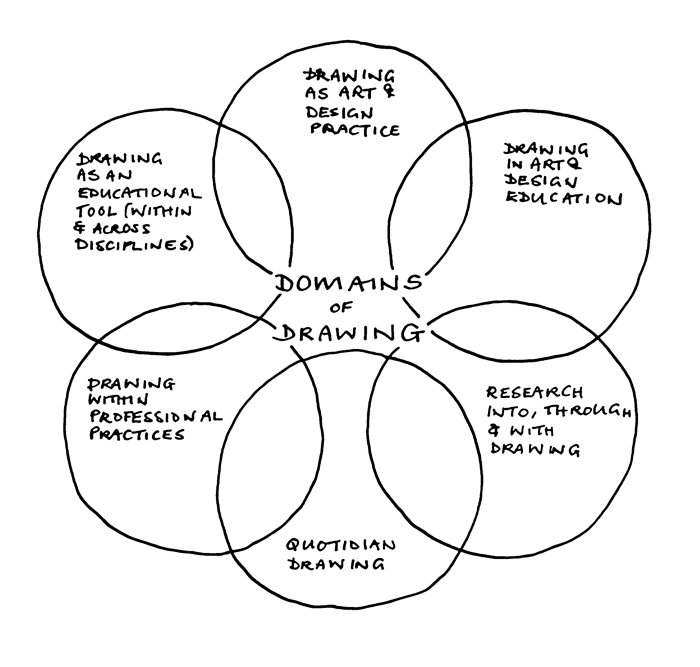 Some drawing practices are systematized or codified and they are deployed for a range of purposes. Medicine is just one of many professions within which drawing is embedded: historically, drawing was closely connected with the study of anatomy. 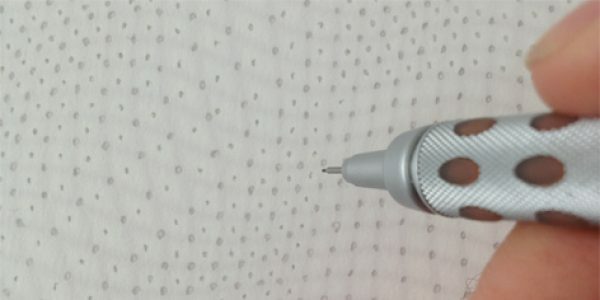 In contemporary medicine and health care professions manual drawing or sketching frequently forms part of clinical communication and is essential to many instances of recording information, yet it is also, paradoxically, a tacit practice that occupies a liminal place in medical discourse. The nature of these drawing practices are currently being investigated not only from the perspective of visual communication but in relation to a set of unresolved research questions within medical communication. As people record, narrate and develop their ideas, or describe, inform, explain and guide each other in daily life they often have recourse to mark-making, with sketch maps, process diagrams, cartoons, pictograms and gestural scribbles. This could be taken further: in Stephen Farthing’s Plan de Dessin, A drawing of the Bigger Picture of Drawing (1st edition 2006) he identifies a huge number of drawing practices, from noughts and crosses to road markings and tattoos, organized into an adapted London Underground-style typology. Some (though not all) examples of what might be called quotidian or everyday drawing are produced in unselfconscious, spontaneous moments. They take advantage of the materials and surfaces to hand and seem frequently to be unconcerned with conventional aesthetic values, being made and presented as utilitarian or transitory. They are marks and sequences of marks made with varying claims of use or value, often falling between the categories of formal, published or finessed informational drawings. Discuss gardening or construction plans in a household for example, and a rough partial plan may be sketched as part of a discussion; ask for directions and you might find a basic directional map being produced. These drawing practices fall between the institutional professional or educational categories, and yet they are engrained within daily lives.